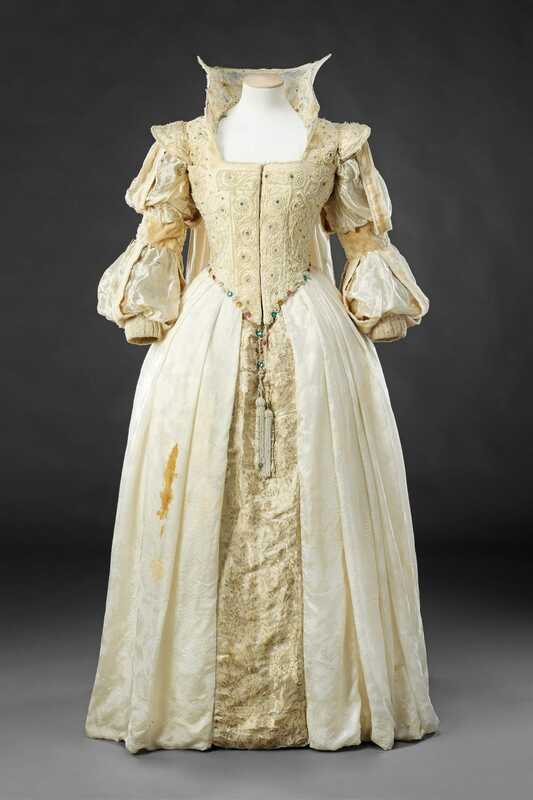 This dress was worn by Mrs Elwes to a pageant ball held at the Banqueting Hall of Government House in Madras, India, on February 13th, 1920. It survives together with a souvenir newspaper supplement (see ‘Additional images’) published by the Madras Times on March 9th, which provides much information on this spectacular event. 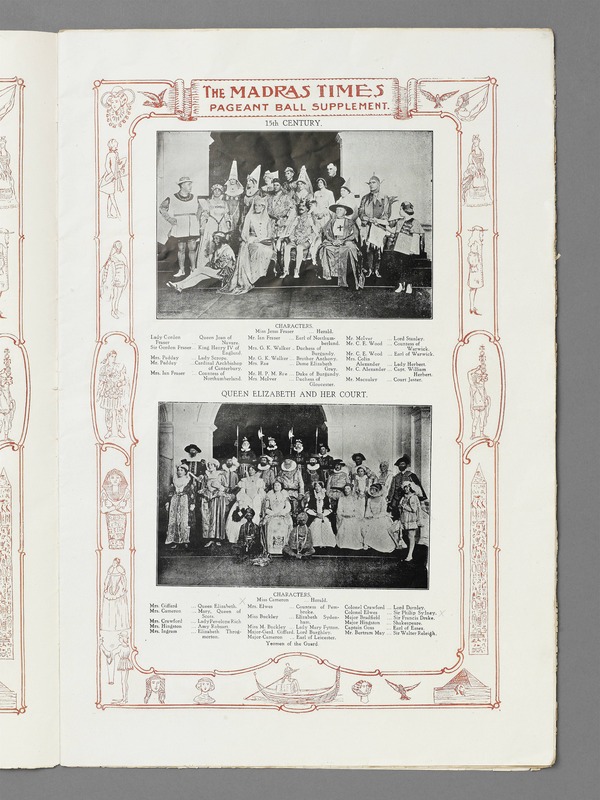 Fancy-dress balls, pageants and tableaux vivants had been lavish forms of entertainment in diplomatic, aristocratic and Court circles for some time, and professional photographs of the participants were popular mementos. 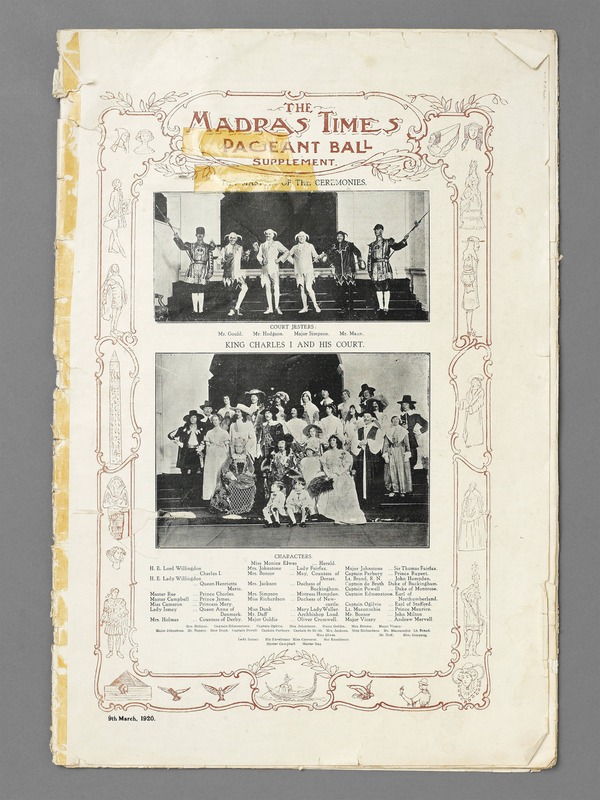 According to the supplement, the ball opened with eight historical ‘sets’, based on themes ranging from the Court of the Emperor Justinian to Madras in the 18th Century, which processed from Government House to the Banqueting Hall. Each set comprised a group of eminent members of British Society in Madras, dressed in appropriate costume. 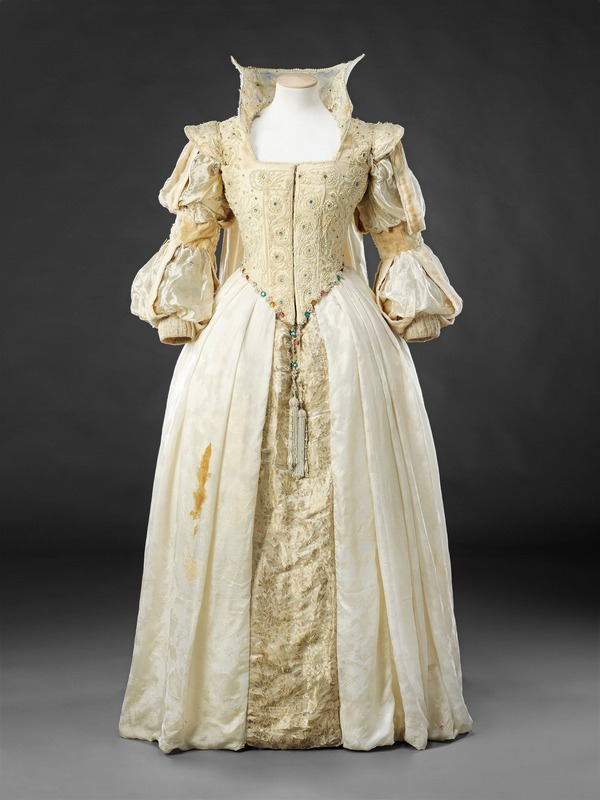 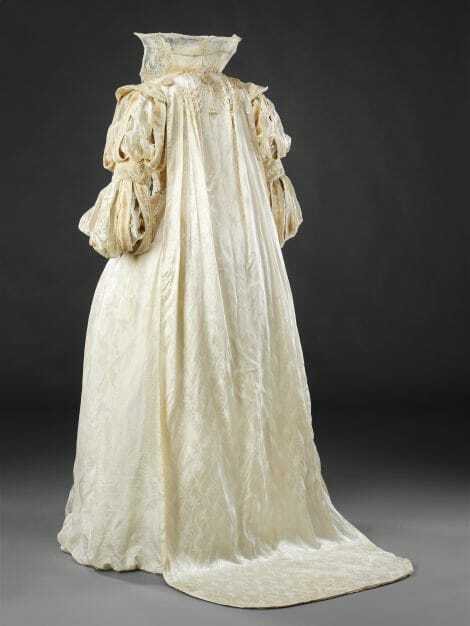 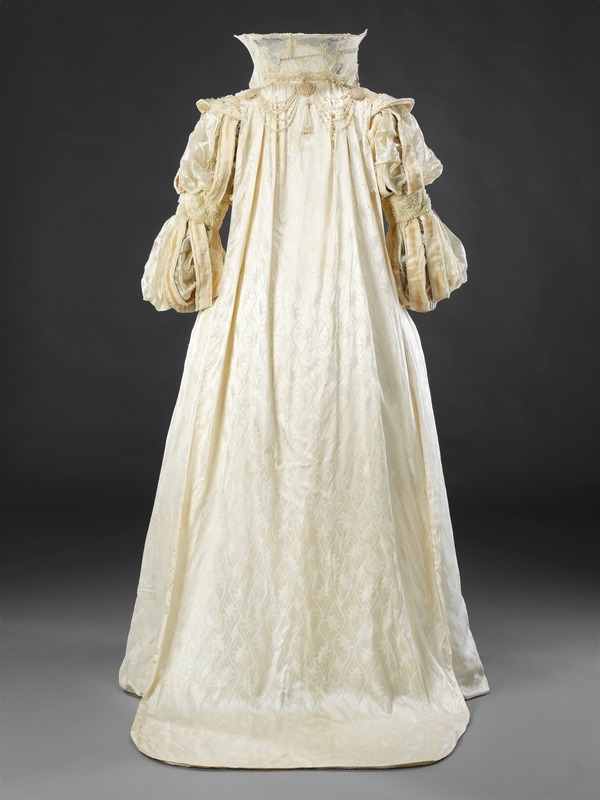 The costumes were praised for holding their own against any at home, and were all ‘the more remarkable when one considers the limited facilities available to many of the wearers’. 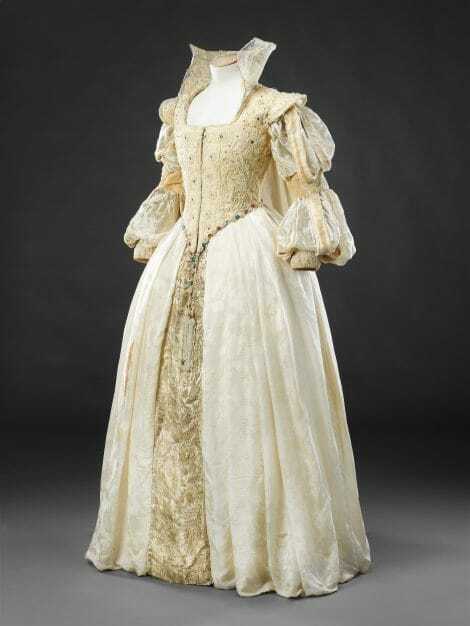 Her husband, Colonel Elwes, surgeon to the Governor of Madras, was dressed as Sir Philip Sydney, brother to the Countess of Pembroke. 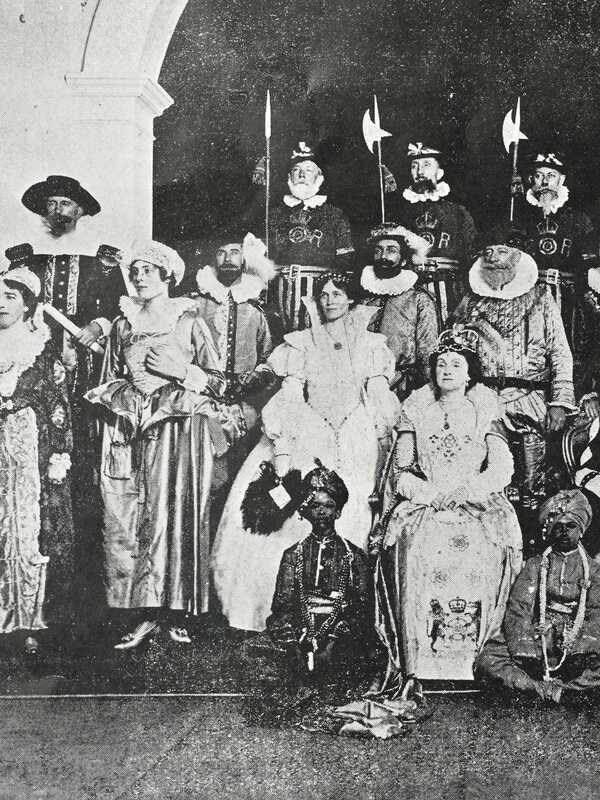 Their daughter, Monica, played an important role as Chief Herald, in blue, leading the first set in which the Governor, Lord Willingdon appeared as King Charles I, and his wife, Queen Henrietta Maria.